I did a post about Argan Oil plus Moringa Oil and thebrookcook asked me about the differences between Moroccanoil and Argan Oil. That small 0.5 fl oz bottle of oil from CHI lasted me about a month and I can see dramatic differences in my hair. People have been asking me if I got a hair cut or colored my hair. I did neither! My hair just looks different. It is healthier and shinier. I can tell that it is less static-y, which is one of the main reasons I wanted to start using a product in my hair. I haven’t gotten my hair cut in 8 months, gasp! I think it may be time for a trim. Cyclopentasiloxane Dimethicone Cyclomethicone Butylphenyl Methyl Propional Argania Spinoza Kernel Oil (Argan Oil) Linseed (Linum Usitatissimum) Extract Fragrance Supplement D&C Yellow-11 D&C Red-17 Coumarin Benzyl Benzoate Alpha-Isomethyl Ionone. As you can see, Argan Oil is simply an ingredient in Moroccanoil®. There are a number of other ingredients that lend to the other health and beauty claims that Moroccanoil® mentions above. 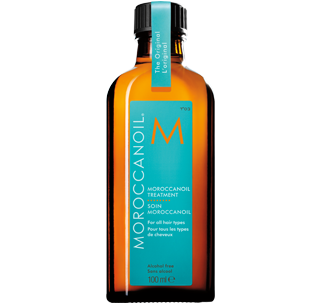 For example, Argan Oil is not typically a detangler, but Morrocanoil® has this added benefit. There is also added fragrance and color in Morrocanoil® that is not in your typically 100% Argan Oil. There is also some confusion because true Argan Oil must come from the country of Morocco, which is in Africa. The Argan trees grow wild in the semi-arid soil of southwestern Morocco. This may be why some oils may be called “Moroccan Oil” although manufacturers have realized the benefit of utilizing the term Argan in their marketing and tend to use this as much as possible. Organic Argan Oil is a multi-functional product. It adds shine to your hair and provides moisture for your skin, hair, scalp, and nail cuticles. It also aids in the repair of damaged and irritated skin. Because it’s easily-absorbed, Organic Argan Oil helps to maintain a healthy skin pH balances as well. It can be used for your entire body. Argan Oil, %100 if you get the good stuff! You can also search Mogador Argan Oil on amazon also! Argan oil is also used for skin moisturizing and treating skin disorders like psoriasis, eczema, acne, sunburn, stretch marks, etc. It is also used to treat dry scalp and brittle nails.